Flexible convoluted tubing / conduit manufactured from a nylon 6 co-polymer resin and UV Inhibitor. 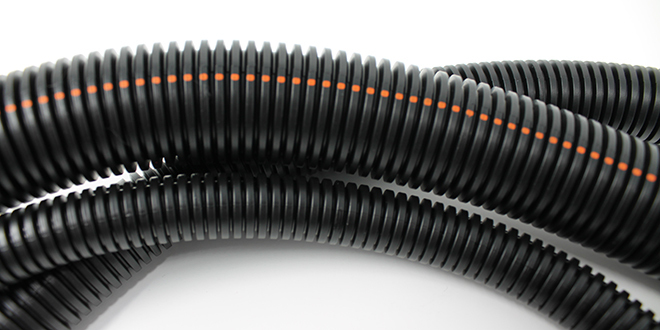 Nylon (NU) Conduit is black with an orange stripe and available slit or non slit. Nylon (NU) Conduit is tested To the equivalent of 3000 hours in the Arizona sun.